Reflecting the CSW58 priority theme of “Challenges and achievements in the implementation of the Millennium Development Goals(MDGs) for women and girls,” over the coming months Ecumenical Women will be posting stories about our individual member organizations’ efforts to implement the MDGs. 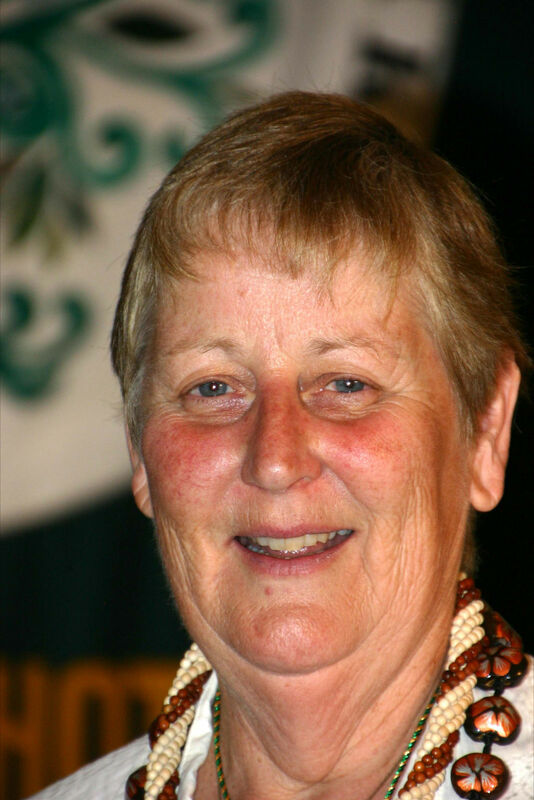 What follows is the second of such stories, comprised of excerpts from a recent report by World Federation of Methodist and Uniting Church Women (WFMUCW) President Ann Connan (see picture below). In the the report, she discusses her organization’s ongoing work towards achieving the MDGs. At the 2011 Assembly a new Action Plan was developed, furthering the work on the MDGs. There were three components: personal; church/community; and government. Today I’d like to challenge you as members of this Council to reflect on what you have done to improve life for the inhabitants through these 8 areas – and I’ll show you what some of the Federation women are doing. The theme for the West Africa Area Seminar held in May in Banjul, The Gambia, was Food Security and Women’s Empowerment. Fuel efficient and reduced-smoke-emission stoves were promoted. We learned that although men have the larger farms with mechanical help the women are the rice-growers – the staple food crop – with no technical help. At the Methodist Agricultural Project women raised fruit trees and produced jams from fruits and vegetables they grew. In the Solomon Islands the church-run hospital providing the only health care in the west of the nation had insufficient fertile land to grow enough food to feed patients more than one meal a day. A series of above-ground garden beds, fertilizer and a chomper were sent by a Federation group in Melbourne. Handcrafts, as we all know, provide a great source of income for women; and sales of handcrafts are an important part of Area Seminars to help lift families out of poverty and to fund fares to meetings. For the past two years the British Unit of Federation has been working in partnership with a small charity Children Unite who campaign on behalf of Child Domestic Workers around the world. 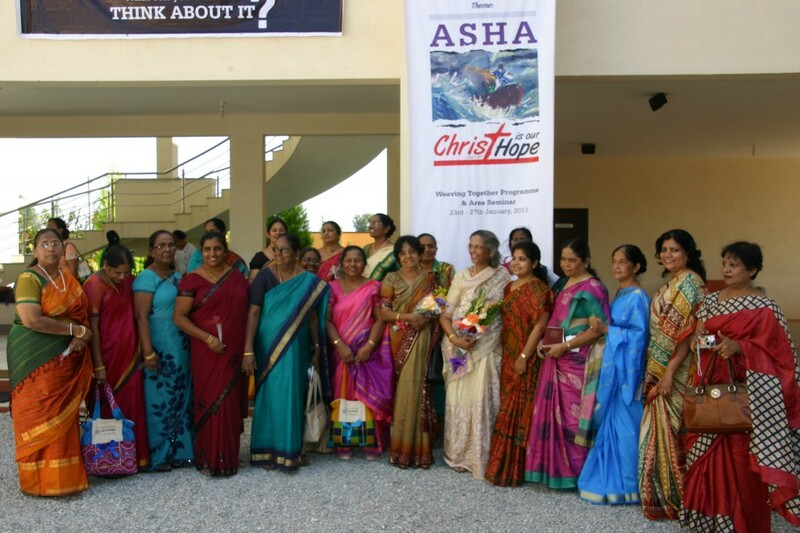 They have helped the charity to raise awareness of the International Labour Organisation’s convention on the protection of domestic workers, which has not yet been ratified by the UK. Hundreds of women have signed rubber gloves, forming an unusual petition. Just as rubber gloves protect our hands from harsh chemicals, so the ILO convention could protect child domestic workers from abuse and the loss of educational opportunities. … The British Unit gathered in Mansfield for a one-day conference entitled Hope for Creation, looking at MDG 7. A highlight of the day was a live Skype conversation with Julie Edwards, a British mission partner, who is sharing her expertise in environmental education with the Methodist Church in Fiji and the Pacific Conference of Churches. The work is of urgent importance in the Pacific, where some countries, such as Kiribati, Tuvalu and the Marshall Islands, are predicted to disappear in the next 50 to 70 years.